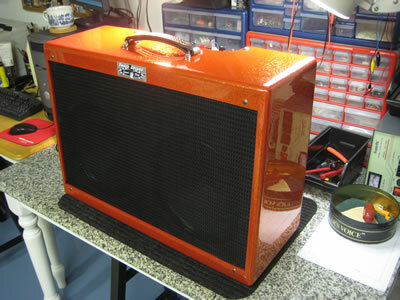 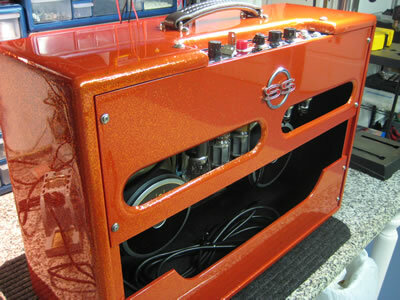 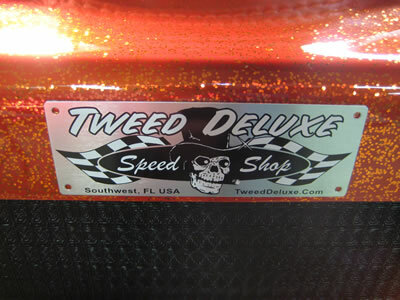 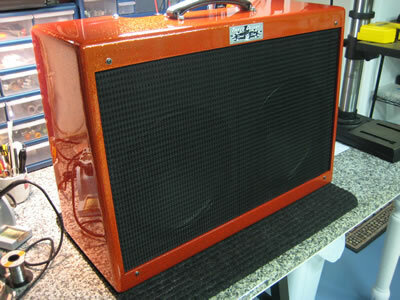 Gasser is a Speed Shop Kustom 2x12 Combo designed and hand-built by Rondo. 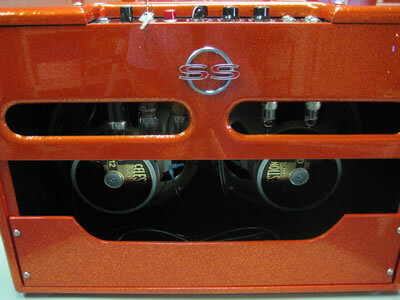 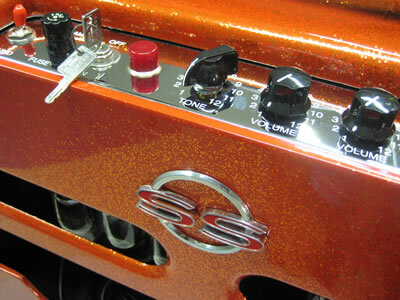 Gasser features a Speed Shop Studio-Series 5E3-P2P chassis and is loaded with (2) Celestion Vintage 30 speakers. 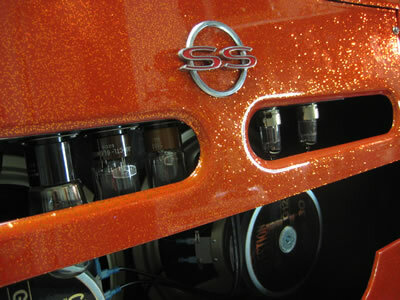 Power comes from a full NOS tube complement consisting of RCA 5AR4, matched Tung-Sol 5881s, RCA 7025 and GE 5 star triple-mica 6072. 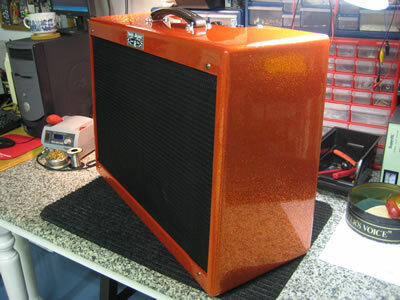 Inspired by 1960's American Hot-Rod Kustom Kulture, Gasser is a one-off functional art piece shot in a real-deal House Of Kolor Orange Tangelo Metal-Flake finish over Inferno Orange base.